Home Blogs “Child-Run”: Why it Happens & How Parents Get Rid of? It is the rising and threatening situation for parents when they go and check kids and teens in the middle of the night, resultantly he/she is not present on their bed. Parent’s starts panic and their heart start pounding, they start calling friends, relatives, friends of their kids and teens and ultimately they inform the police. It may be or may not that your kid/teen has run away from house threatened to do so or something else is the situation. There are many driving factors which can lead a child to run away from a house. Most probably there is the possibility that he is being threatened by parents, it may be possible someone is abusing your child continuously, there are chances bullies are bullying your kids/teens at school and it might be possible that your child is getting drugs from the company of their bad friends. Let’s take a look at all the hypothesis which we are making and point out all the aspects which make think your kids/teens to run away from the house. It is not difficult for young kids and for teens to run away from their houses if they are under a lot of stress, kids/teens can easily justify running from their houses and leave their parents behind. Running away from the house is action, kids and teen just need three things to do so. The first thing is the willingness, the second one is the opportunity and the third one is ability. If a child or a teen has these three things he/she can run from their house every single day. 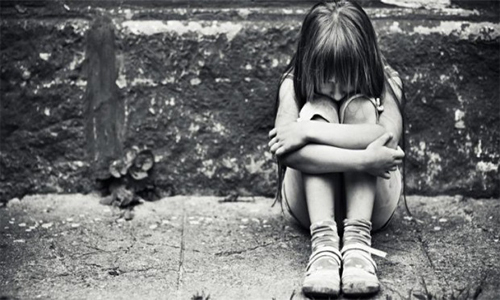 There could be a stressful situation your child/teen is facing, having a fear in mind of getting consequences about which they have done, don’t want to go to school because of bullying and it may be possible that your kids/teens are the victims of child abuse means someone is molesting your child. Some kids/teens use social media websites and apps and see the adventures their friends have done and then post their stories on the social messaging apps. It means some young kids and teens develop a romanticized view of life on the streets. But real life is not based on fantasies, adventure, it’s awful, you may feel cold and you may starving while doing so. There are few who got drug addiction from the company of their friends while spending their time in hidden whereabouts from their parents. Running from the house only requires the willingness and the willingness come through plenty of dangerous and non-dangerous reasons which are following. It is the very dangerous truth that almost 96% of the child molester probably your closest ones. It may possible that a person who is abusing your child is your housekeeper, neighbor, your friend or someone else who have the presence within your home. A child who is sexually assaulted repeatedly could make his mind to run from the house and hide at the place where no one can hurt him. So child abused is the driving factor for creating willingness in young kids and teens to run from their house. 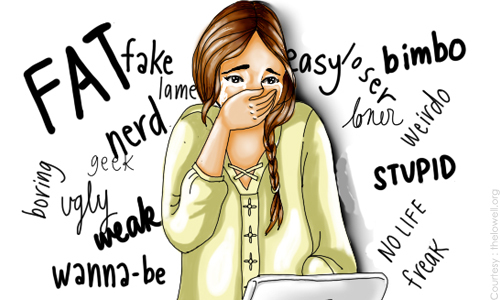 In most of the cases, young kids and teens often become the victim of real world bullying in schools and some time to cyber bullying. When they got bullied from school or from using social media, they often got scared and depressed. There plenty of cases in which young teens have tried to commit suicide after bullying from school or from the cyber world. Some teens don’t want to go school because of frightens they have got from bully fellows. When their parents continuously force them to go to school, then they make plans to get rid of schools and from bully fellows. There are some who don’t attend school and waste their time on streets and few who got depressed make their mind to run away from their houses. It is very often thing when young kids and teens got stress from the variety of reasons, they start making plans to run away from their house. There are many parents who are strict with their kids in every matter such as education, norms & values, discipline and in many other things. When kids see their other friends who are spending most of their time on streets and in playgrounds they feel irritation and then make their mind to live their own life which would be full freedom. So, kids/teens who are sensitive and don’t bear harsh arguments often make their way to run from the house. It means a substance which makes a person or youngster addicted to it such as drugs and alcohol. Many youngsters sometimes got their company who do party and often take drugs in their young age. When they got drugs from their friends and met with them in hidden whereabouts which the parents don’t know. Finally, they got addiction, when they don’t get these drugs free of the cast they start running from their houses because their parents don’t let them buy these drugs and alcohol. These types of runners usually intermingle within criminals activities. What Types of Child-Runners Exist? There are two types’ runners, one is episodic and second one is chronic Runners. There is dire need to make difference between the both types of runners because an action is same but the reasons quite change. When your child runs when something happened, this is known as episodic running. It means a child or teen that runs from their house when he/she did something tribally wrong or someone did with them wrong. In short, these types of kids and teens are trying to avoid something such as consequences, Cyberbullying, school bullying, and embarrassment. Kids and teens who are used to of running from their house frequently, actually want power in the family, struggle, manipulation or do acting to get their means from their parents and blackmail them if you don’t do this I will run from the house. These types of runners are known as chronic runners. According to some experts, most of the kids who run from their house don’t have actually problem-solving skills and many other necessary things. Therefore, parents need to provide the skills to their kids and teens in order to face the hardships of life. Parents should teach their kids and teens that how to face problems and how they can combat the issues they are facing in their life. Parents should show their kids and teens unconditional love, and then they will share everything with their parents. Finally, parents need to make an atmosphere of acceptance. Parents should check in with their child and teens regularly to make their relationship stronger and friendly. Parents can engage with kids and teens by asking how are going? Anything you need? You need to express this thing at least twice in a day. Is There Warning Signs for Parents to Get Rid of “Child-Run” Issue? Unfortunately, there is no a solid sign which can indicate you that your child is making plans to run from the house instead of just hoarding money and valuable things disappeared suddenly. There is only one solution to get complete supervision of your child using spy software. The monitoring software such as TheOneSpy enables parents to get all the indicators if the child is planning something horrible such as running from the house. You need to install the TOS app on your kids/teens smartphone device initially. Then use Track GPS location feature of spy software and get the exact location of your child, in case he/she has run from the house then you can easily track the location. Spy on calls feature of the kids monitoring app allows parents to listen recorded live calls and listen what they are up to something. Parents can also use Bug their phone feature and record surrounding sounds through MIC bug feature and can also make short videos of surrounding sounds and images through SpyVidCam bug feature of the surveillance app. Parents should use the spy on messages feature in order to know what sort of messages he/she is receiving in the shape of text, MMS, iMessages and BBM chat messages. Young kids and teens mostly got their company from social messaging apps, so IM’s social media feature of the monitoring application allow parents to view what sort of messages they are receiving and sending, what sort of friends they are following and what activities they have done on social media. Conclusion: In most of the cases, young teens and kids run away from the house after having heating arguments with their parents or having horrible incidents. TheOneSpy monitoring app provides indicators and solid reasons why their child making plans to run from the house. This would be the best software to know that your child is planning something horrible. The young child got bullied/cyber bullied, molested and got stress, depression and having nonfriendly parents they start running from their houses. Parent need to behave friendly and do surveillance on their activities for better parenting. Previous post Technology Creating Imminent Sense of Isolation in Modern Society Next post Employees Monitoring: A Trend or Necessity?